This week in class a professional electrician came to facilitate the wiring of the house. He worked with all of us and essentially acted as the commanding officer for the afternoon while we (the students) wired our tiny house! 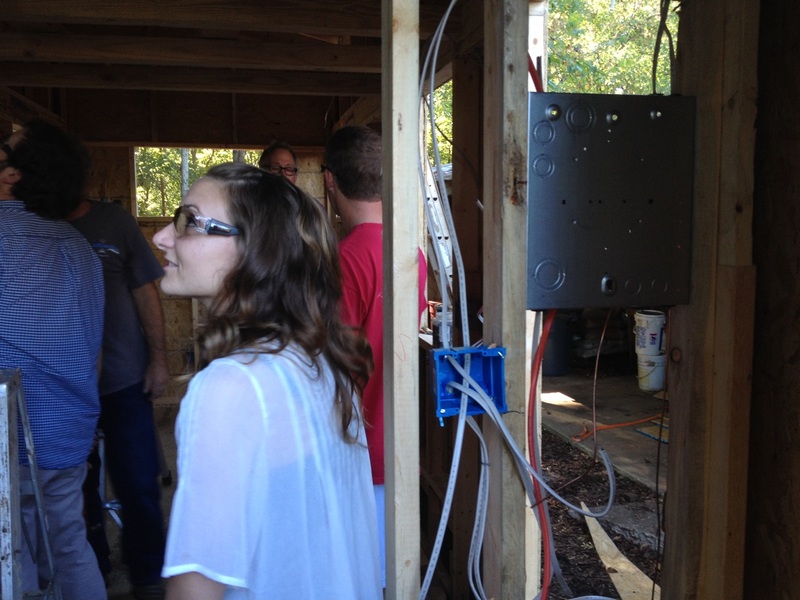 We discussed how to wire to building code (certain amount of outlets per sq ft, ground wiring for safety, etc. 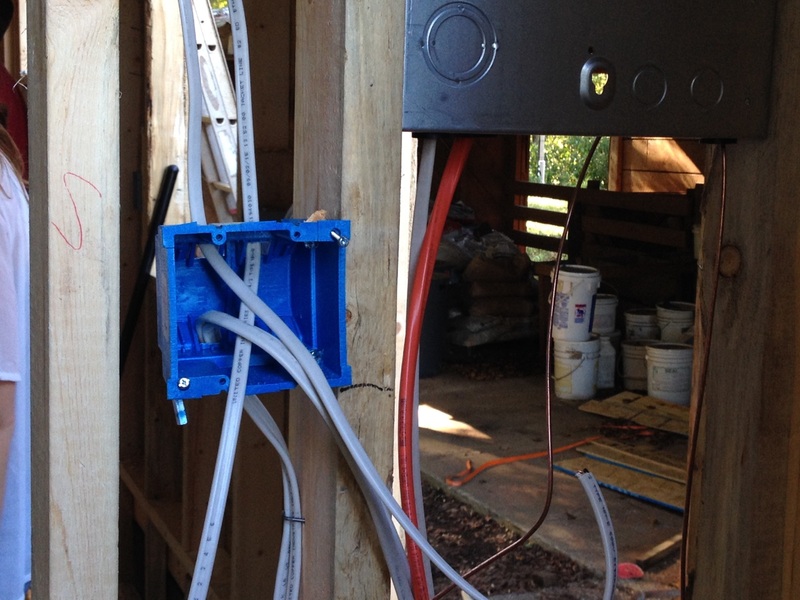 ), why and where you put wires/outlets where they are, and a brief overview of what goes into wiring a home. 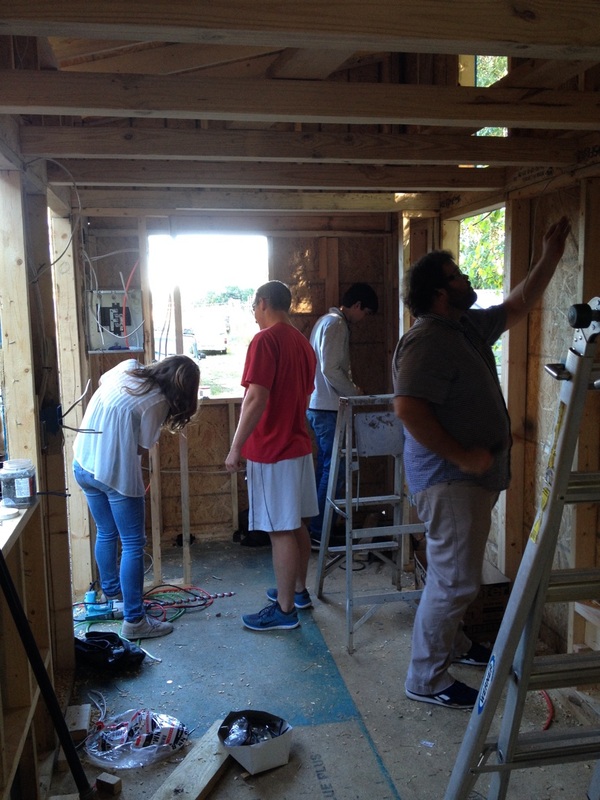 All of us packed into our tiny house, working on the wiring. Believe it or not, there is a method to all the madness!